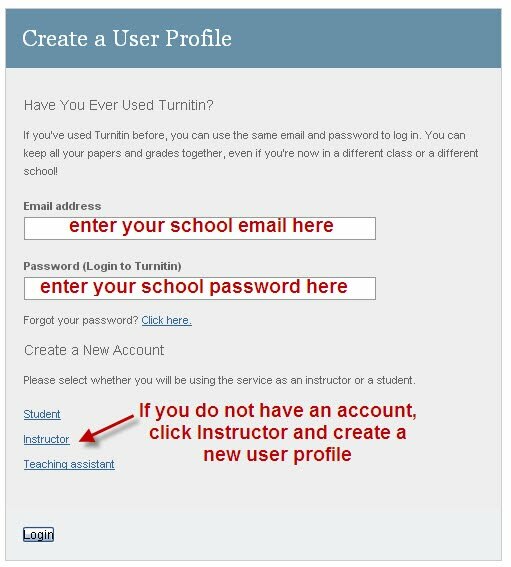 To utilize Turnitin.com fully, you will need to create a new account and profile. If you have not done that already, please follow the instructions below. In the files, there is an Instructor Manual that gives you step by step instructions as well as a code to create an account tied to our district. Note: Creating a profile does not mean you create a class. You will need to follow the directions to complete that next step. There is an iPad App available for grading/viewing.